A couple of years ago this website was hacked. It was a major headache. I was off-line for two or three days and I ended up having to hire somebody to clean it up for me. I learned my lesson! It makes much more sense to prevent getting hacked than cleaning up after the fact. Why are WordPress websites a target? Because WordPress is so widely used. It’s just like with Windows; because it is so widely used hackers find it more profitable to target it rather than less commonly used programs. The best way to protect yourself is to always have the latest updates on your WordPress site. Back up your website in case the worst happens. A quick word about backups. First, many hosting companies offer backups, but these are kept on the same server as your website. If your website gets corrupted odds are the backup will be too. You must keep your backups elsewhere in case you need them. Second, there are a number of plug-ins that will do automated backups. However, if you need to use the backup it can be tricky if you’re not technical. 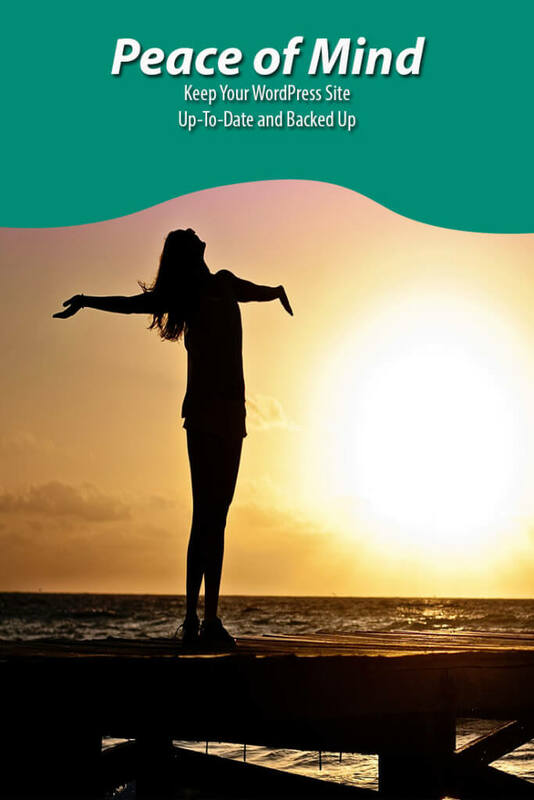 I offer a WordPress backup service with daily, weekly or monthly backup plans, depending on your needs and how often you update content on your website. I store a copy of the backup myself and send one to you as well. 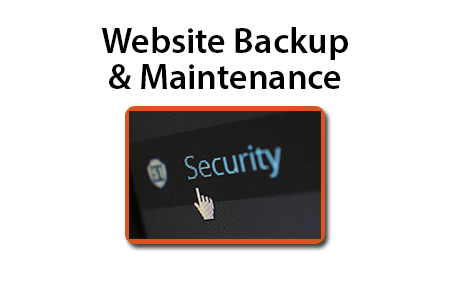 In the event that your website gets hacked I assist in restoring the backup on your site. Consider it insurance for your website. If you purchase a backup plan today I will guarantee this price for one full year. Website security including Brute Force Protection, Strong Password Enforcement, Away Mode, Two Factor Authentication. Also includes monthly backups of your website, secure offsite storage of the backup and assistance in using the backup if needed. This option is best if you update your website infrequently - once or twice a month. Website security including Brute Force Protection, Strong Password Enforcement, Away Mode, Two Factor Authentication. Also includes weekly backups of your website, secure offsite storage of the backup and assistance in using the backup if needed. This option is best if you update your website regularly - once or twice a week. Website security including Brute Force Protection, Strong Password Enforcement, Away Mode, Two Factor Authentication. Also includes daily backups of your website, secure offsite storage of the backup and assistance in using the backup if needed. This option is best if you update your website daily. Do you have a question about the Backup and Update Service?